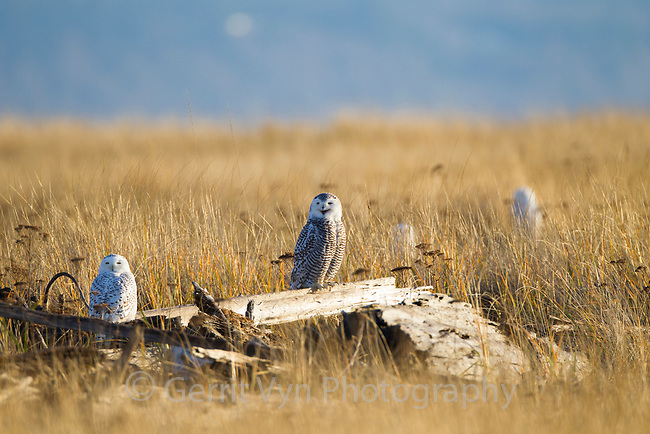 Snowy Owls (Bubo scandiacus) roosting on coastal driftwood. The immature female in the center is giving the "mewing whistle" call as a territorial signal to other owls. Grays Harbor County, Washington. December.